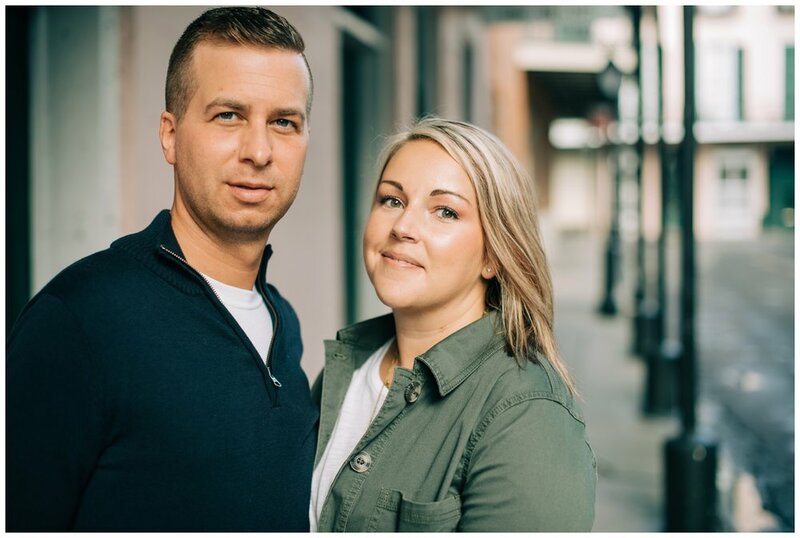 Eric and Leigh were visiting New Orleans with family but decided to sneak away for the morning for a French Quarter Photo Shoot. We started our shoot with iced coffees and some AC because, despite it being mid October, New Orleans is always a steamy city. These two often get the chance to travel together but joke that they come home with photos of the delicious food and drinks they had but never with photos together. 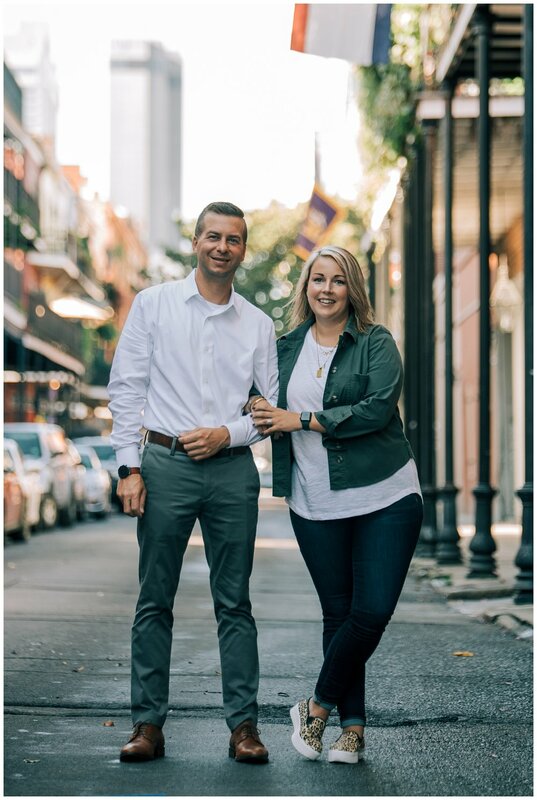 What better way to commemorate their time in New Orleans than an early morning stroll through the French Quarter (complete with a bloody marry/mimosa break!) for a photoshoot?